A campaign to raise $15,000 by Valentine's Day to fund a search for Romeo's Juliet before he croaks generated $25,000, an environmental group said. Texas-based Global Wildlife Conservation teamed with dating website Match and the Bolivian Amphibian Initiative to raise money for Romeo's last shot at romance. "People from around the globe showed their love this Valentine's Day for the world's loneliest amphibian," the environmental group said in a statement dated Friday. "We are overwhelmed by the support from Match and all of the donors who generously let Romeo into their heart this week," said Arturo Munoz, founder of the Amphibian Initiative, a project of Cochabamba Natural History Museum, where Romeo resides. "Thanks to the help of everyone that donated, we hope that our next big announcement will be that we found Romeo his Juliet and established a conservation breeding program to save his species from extinction," Munoz said in the statement. 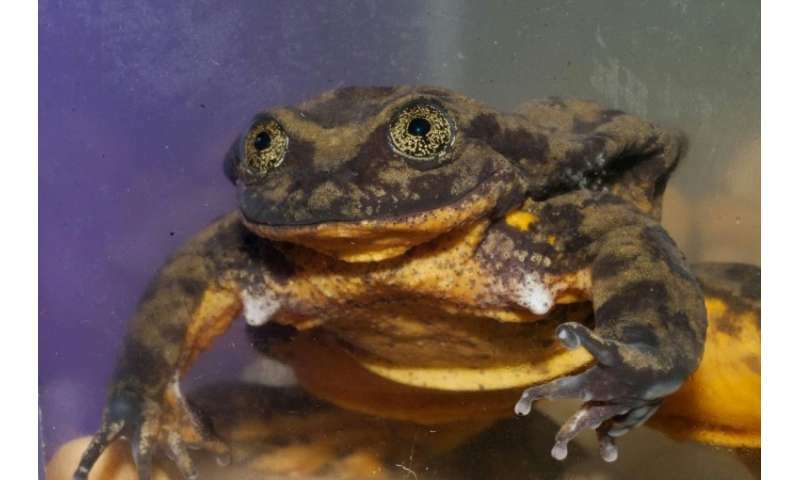 Munoz said earlier that when researchers collected Romeo a decade ago they knew that Sehuencas water frogs were "in trouble" but they had no idea that they would not be able to find another one, let alone a partner with which he could mate and preserve the species. Munoz said Romeo started to call for a mate about a year after he was brought into captivity a decade ago, "but those calls have slowed in the last few years." Scientists don't want Romeo to meet the sad fate of "Lonesome George," a childless Galapagos tortoise who died in 2012, taking his entire subspecies with him.